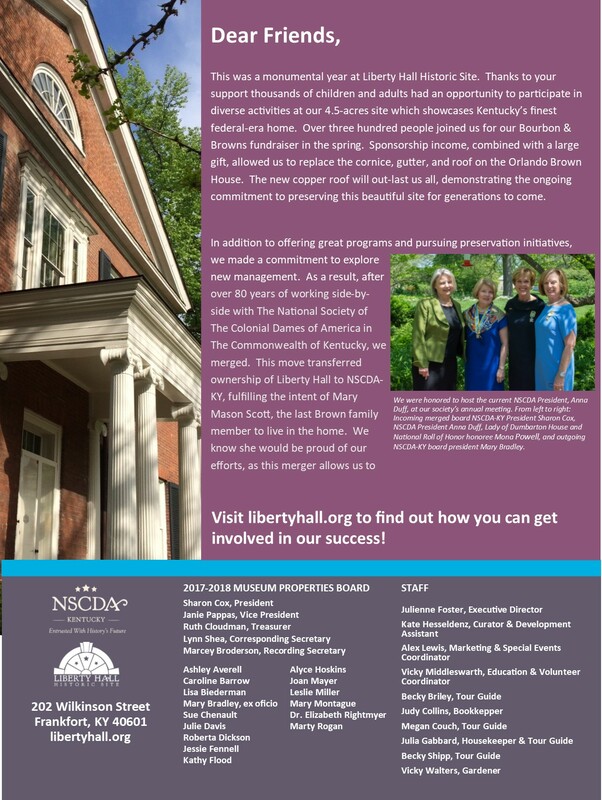 Do you want to know what LHHS did last year? 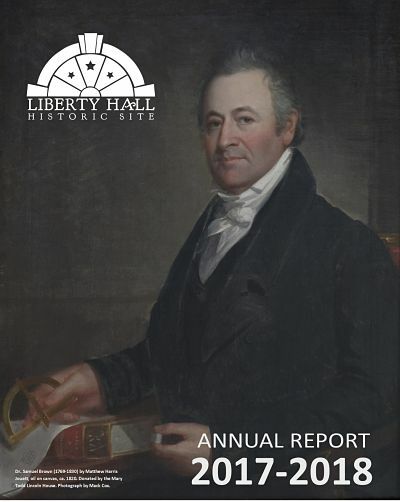 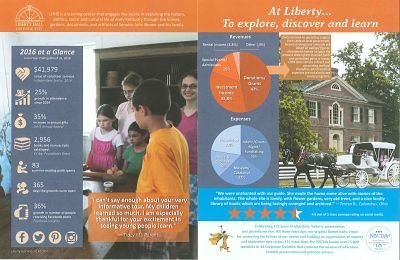 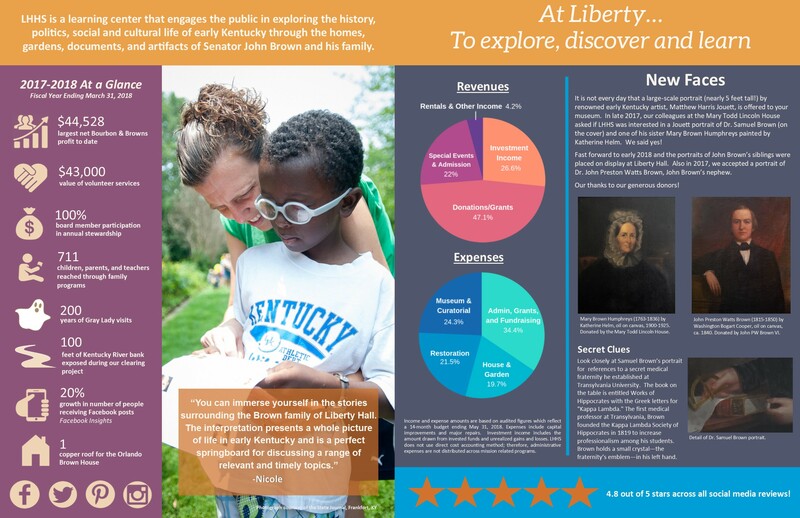 The Liberty Hall Historic Site (LHHS) Annual Report provides statistics on our impact on the community and how we continue to accomplish our mission. 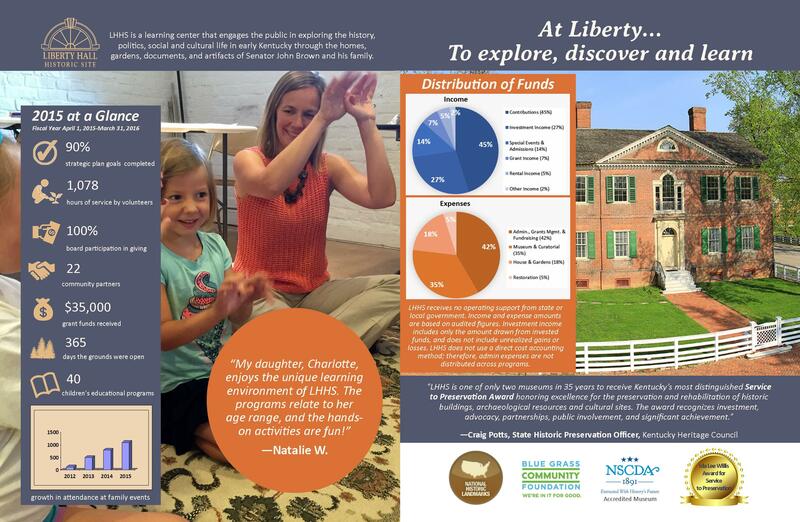 Please click on the image in the gallery to see the 2017-2018 report.